After you make up your next batch of fresh guacamole, or slice an avocado as a garnish for your salad or sandwich, don’t toss the pit or seed in the trash. With minimal effort, use the seed to start a new avocado plant. It’s a suitable project to share with the kids. After the seed develops roots and leaves, you can eventually plant it in a larger pot with soil or move it outside to the garden. Scrub the avocado seed with a vegetable brush and wash under warm water. Remove as much of the brown skin as possible from the seed. If left on, the skin may develop mold. Hold the pointed end of the avocado on top, with the rounded end on the bottom. Poke three toothpicks into the avocado, around its middle, spacing equally around its diameter. Push each toothpick in just far enough so that the toothpick is firmly in the seed. The toothpicks will suspend the seed over the cup of water. Set the avocado atop a glass or jar, with the pointed end of the avocado on top. Select a cup or jar that is wide enough for the avocado to fit, yet small enough so that the toothpicks stick out over the rim of the cup or jar. Fill the jar or glass with lukewarm water, to the bottom third of the avocado. Maintain the water level. Set the jar or glass in a sunny location and change the water once a week. If you want to eventually plant your seed in a container with soil, wait until the roots get about 3 inches long, which will take about a month. If it doesn't sprout by three months, throw the seed away and try again. 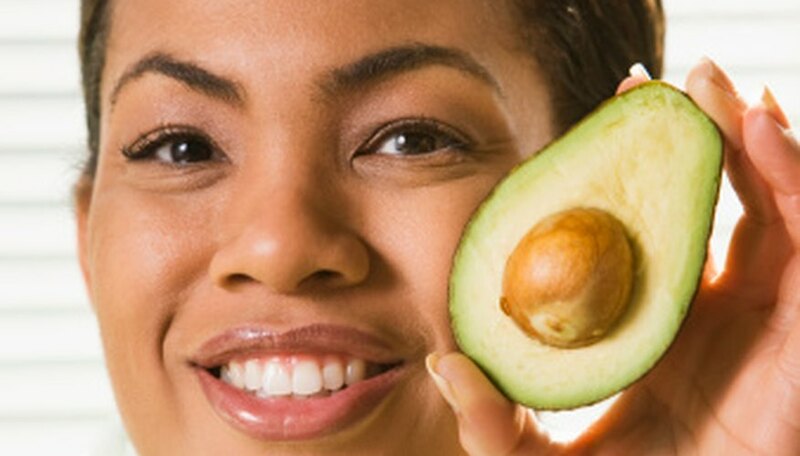 While the avocado enjoys bright light, don't leave it in the direct sun for long periods. Keep it in indirect light.